Spirochete a type of bacterium causes Lyme disease. Usually people who are exposed to deer ticks or western black-legged ticks get this illness. The transfer is through a tick bite. The disease is not limited to the USA; it is also found in Australia, Asia and Europe as well. 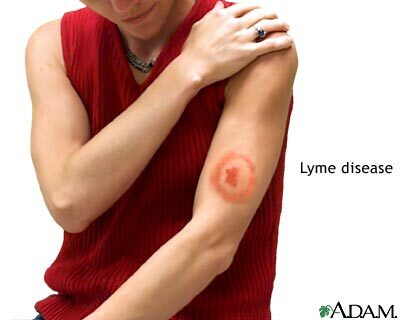 If you are bitten you will start seeing signs of Lyme disease anywhere from three to thirty days. 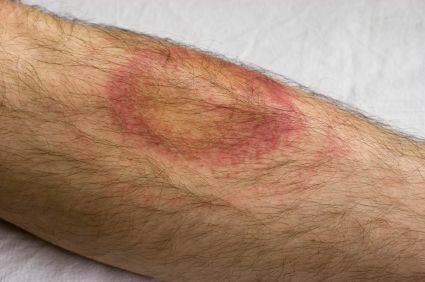 The primary indicator is a rash that is at the source of the bite. Patients will respond differently; there are those who have red spots instead. The rash will be warm and feel tender. More signs of Lyme disease include pain in the joints and muscles, headaches, feeling fatigued, and the presence of fevers and chills. Treatment for Lyme disease is integral because it can spread to the nervous system as well as the heart. A carrier of the disease can develop Bell’s palsy or the drooping of the face. Their heart beat can slow and they can develop numbness in the legs and arms. Meningitis is also a possibility if the membranes in the brain start to swell. If no Treatment for Lyme disease is sought then the later stage of the disease can cause arthritis. Once you discover any signs of Lyme disease you should inform and visit your doctor. In the early days Treatment for Lyme disease includes giving the patient an antibiotic. The treatment should run its full course or the malady will recur and spread to other areas of the body. Just to offer a clarification for your readers, the names of the bacteria that cause Lyme disease are Borrelia burgdorferi (genus Borrelia, species burgdorferi), Borrelia garinii, and Borrelia afzelii. Spirochetes are any of the spiral-shaped bacteria in the phylum Spirochaetes, which along with Borrelia includes Leptospira, Treponema (syphilis, yaws), and Brachyspira.